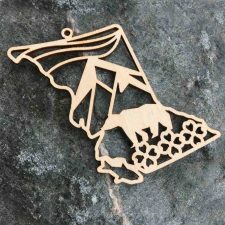 The Yukon is full of grandeur and untamed beauty. 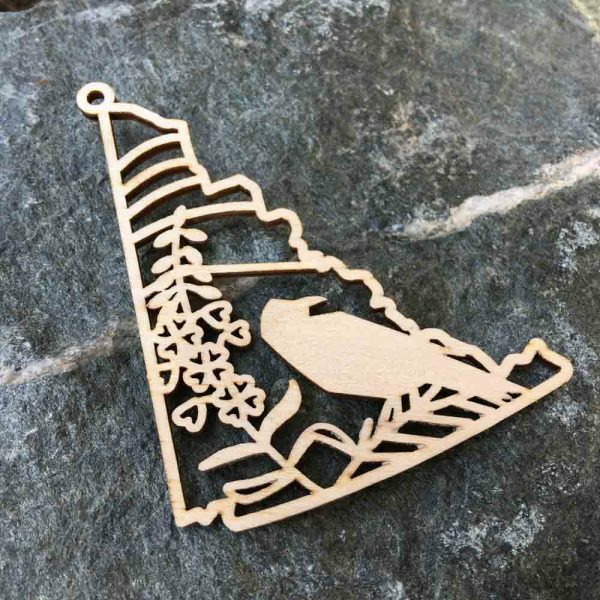 This ornament features the provincial symbols: fireweed, sub-alpine fir and the wild raven. 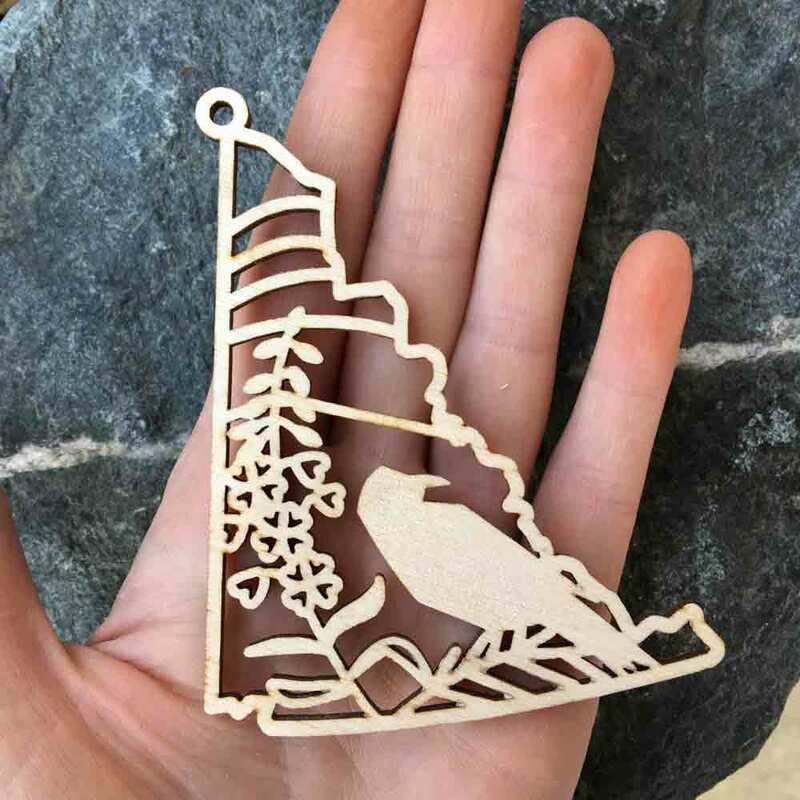 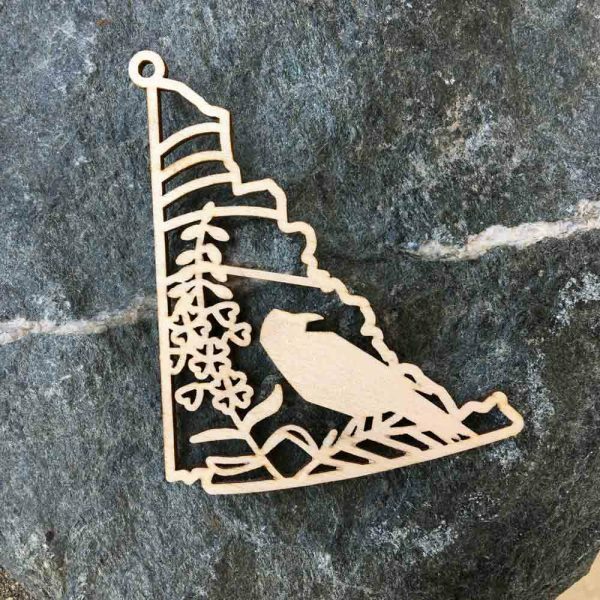 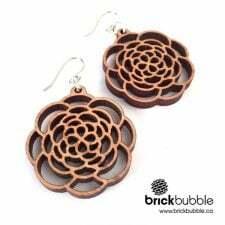 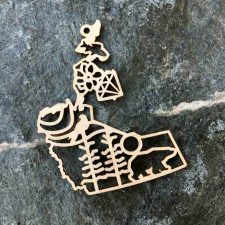 Celebrate your love for this province with our wood cut ornament; illustrated and created in our home studio. 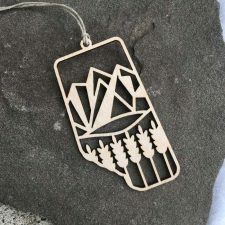 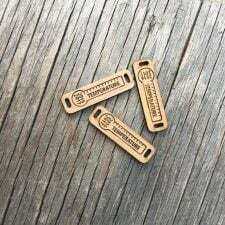 Be the first to review “Yukon Crest Ornament” Click here to cancel reply.